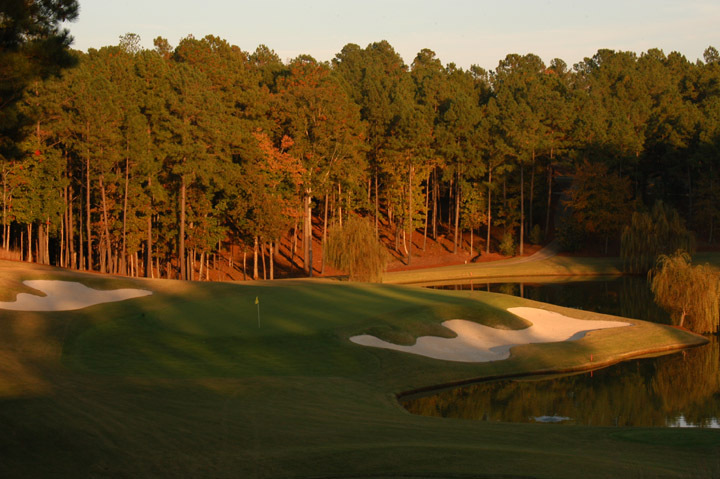 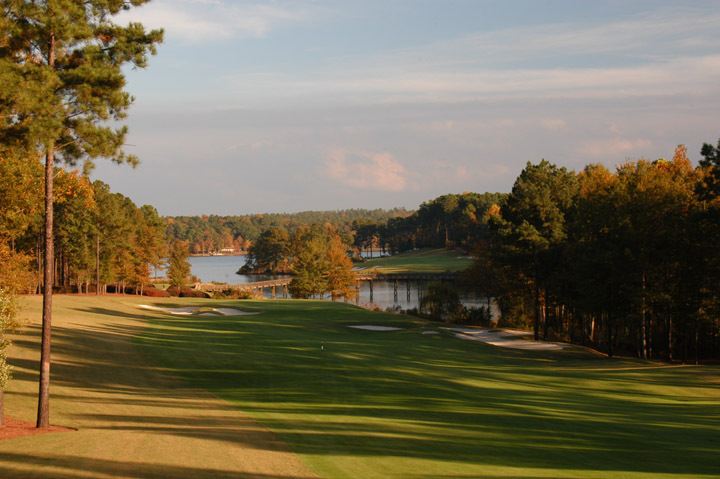 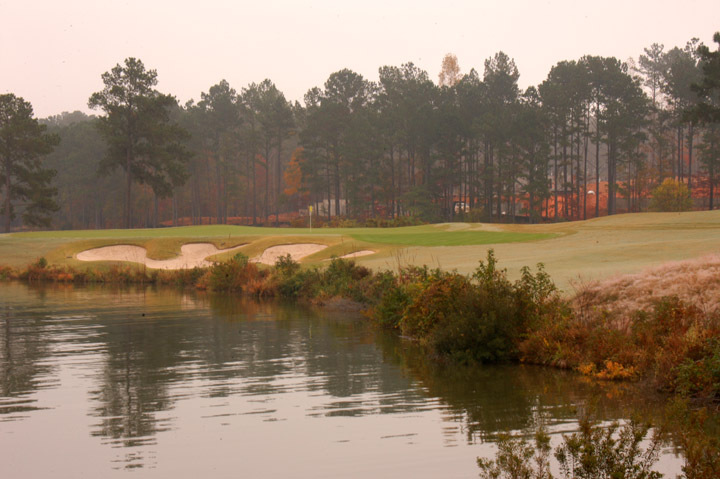 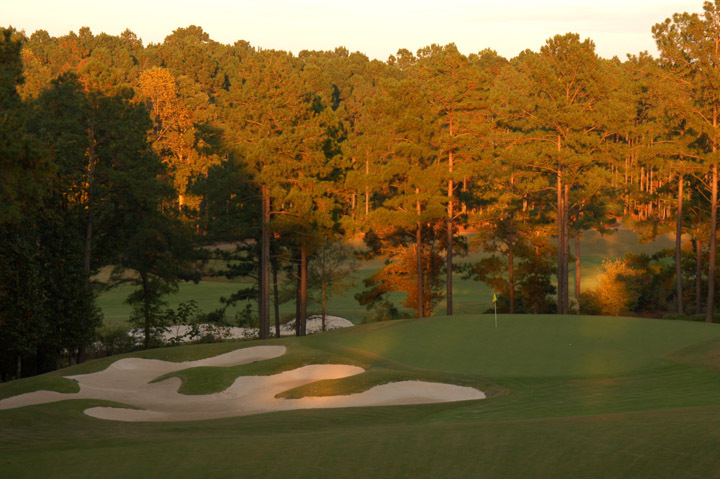 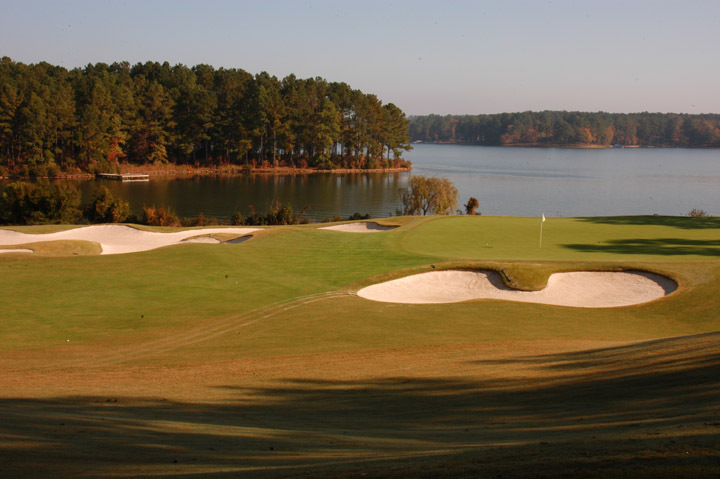 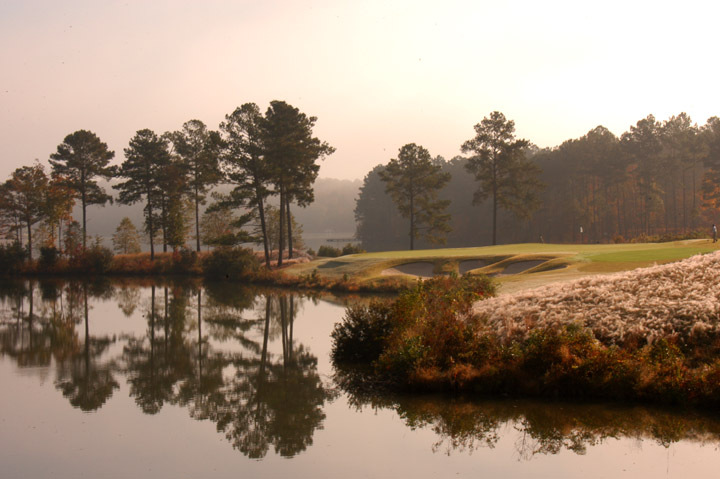 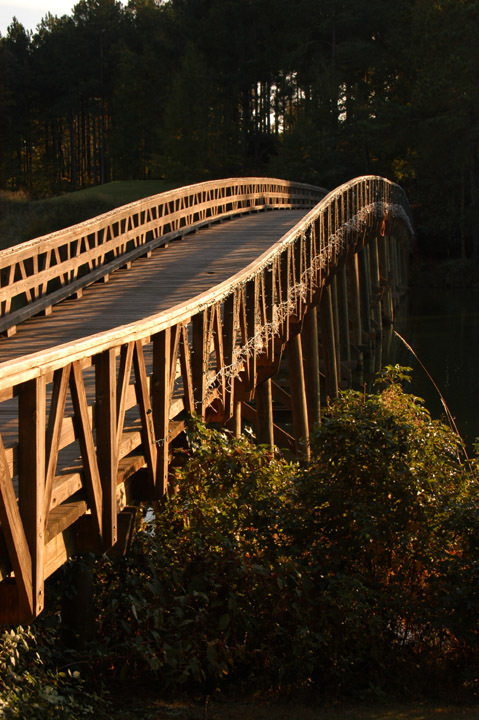 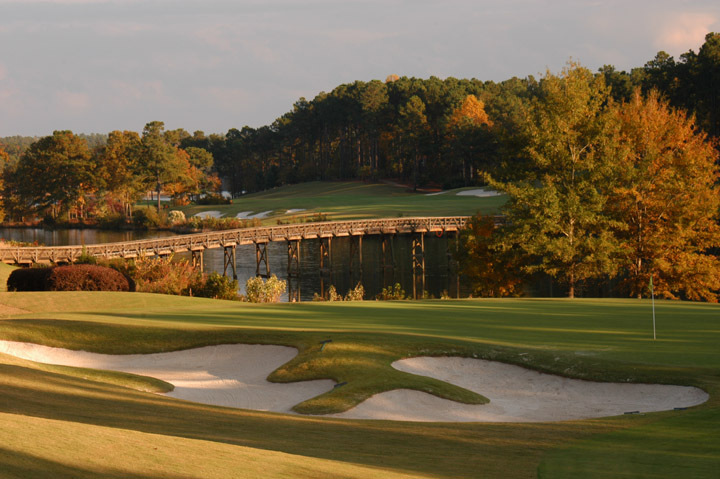 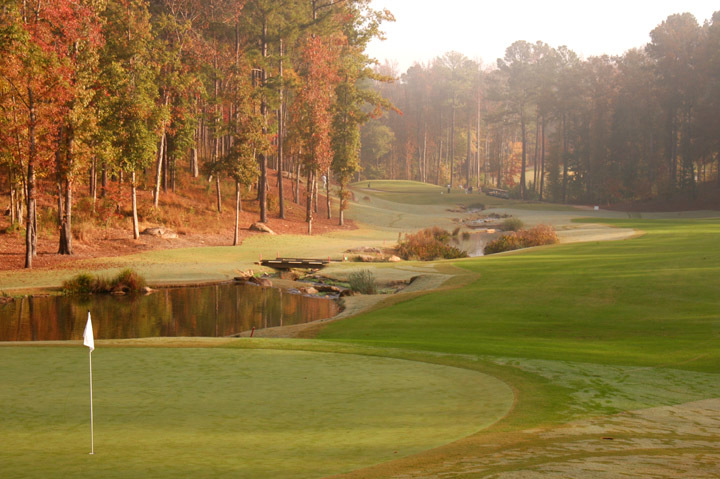 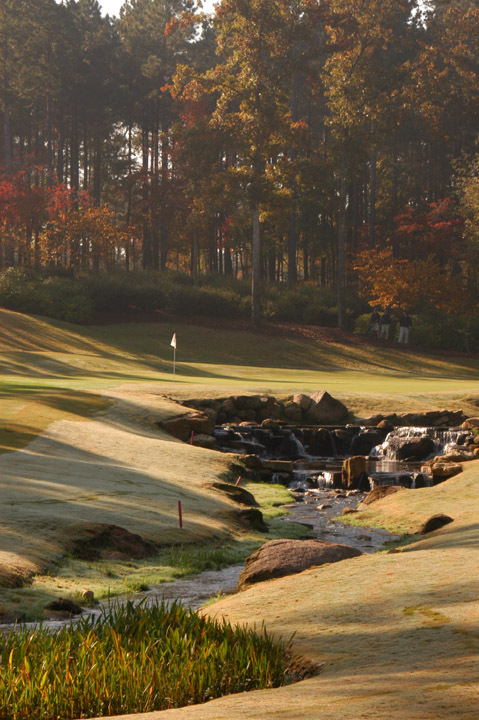 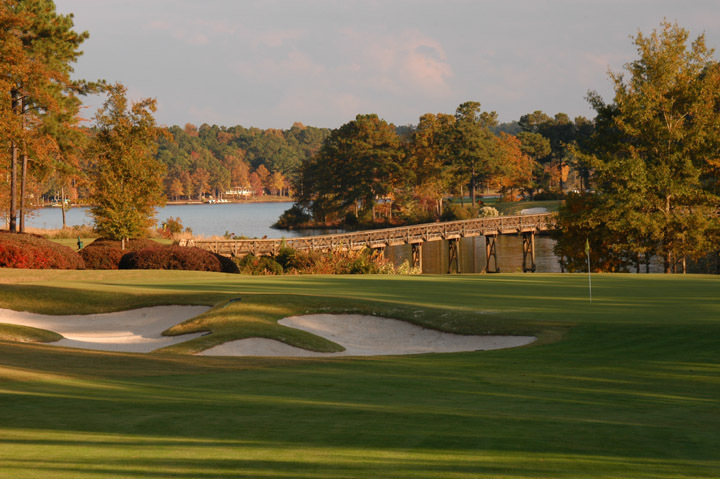 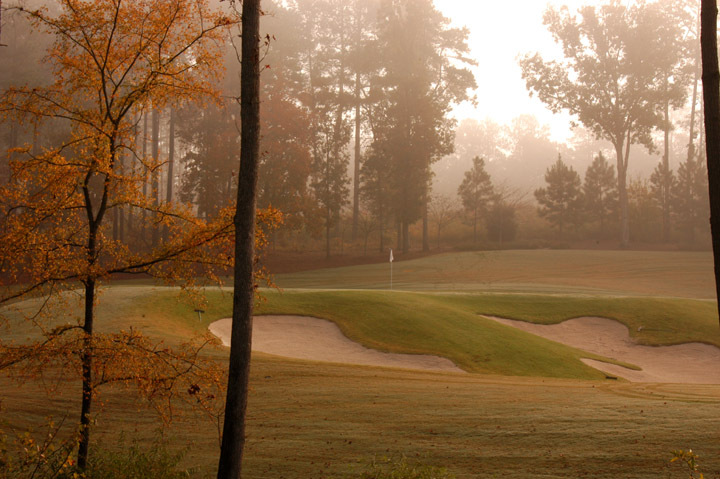 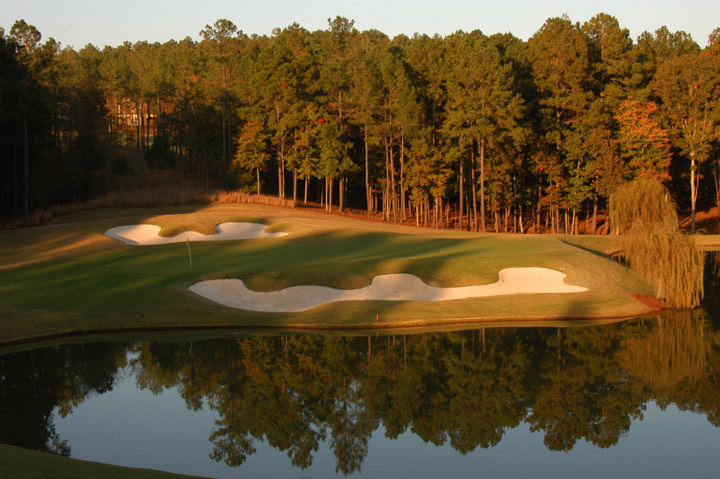 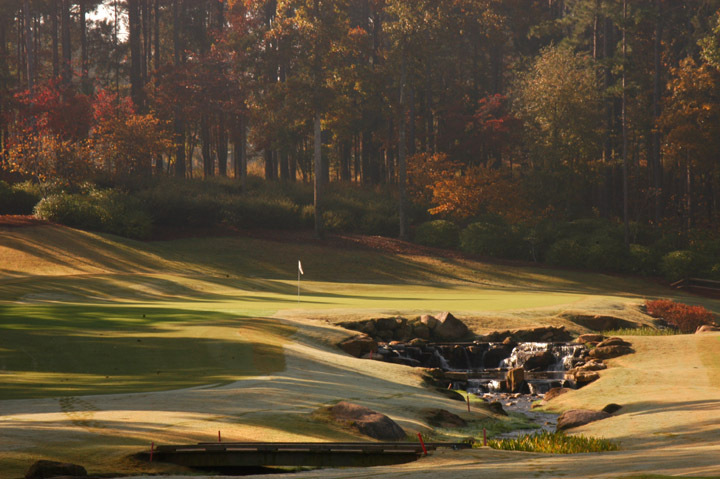 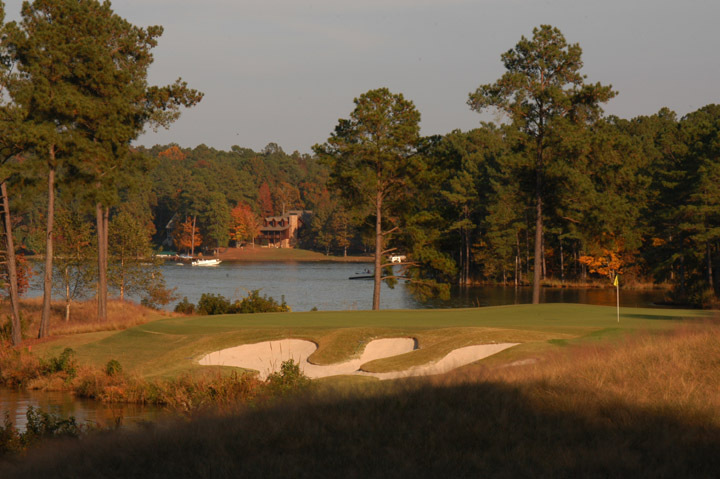 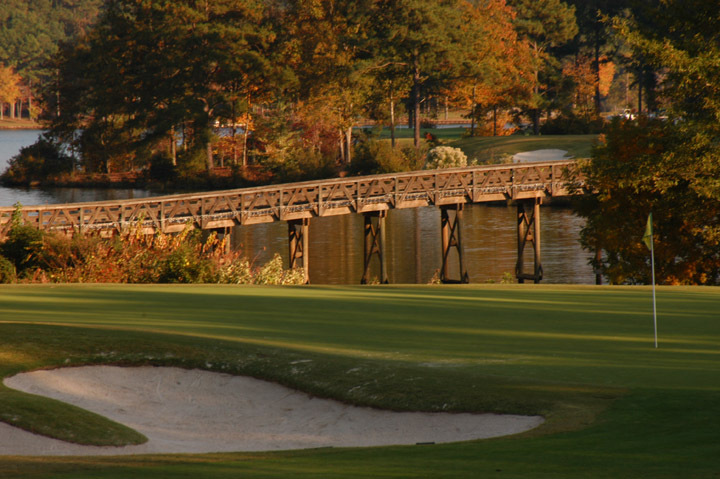 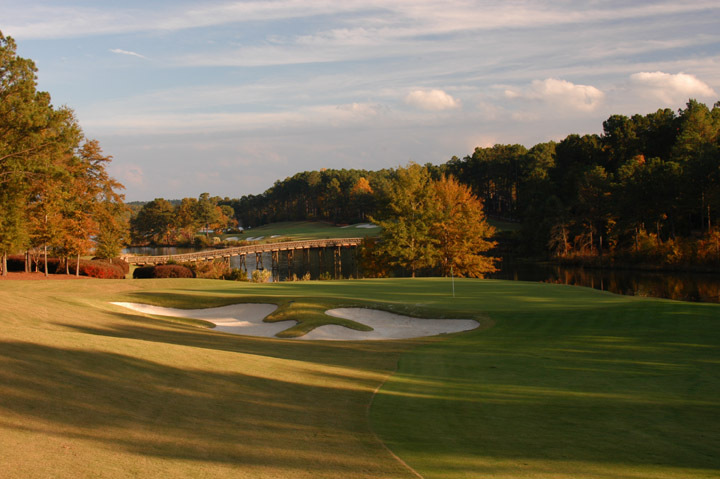 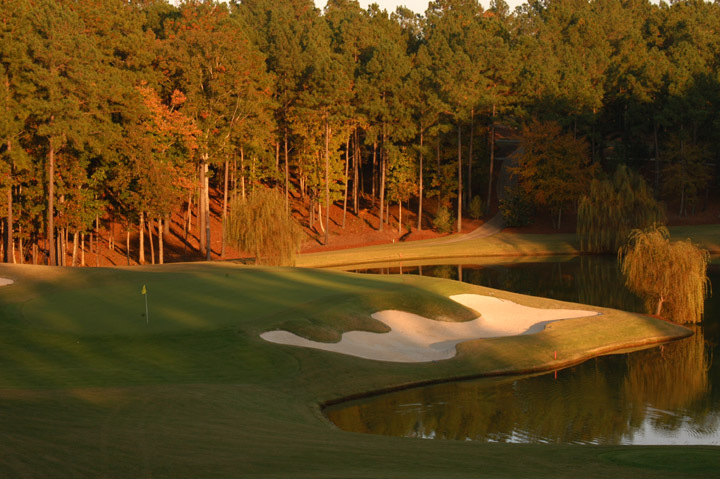 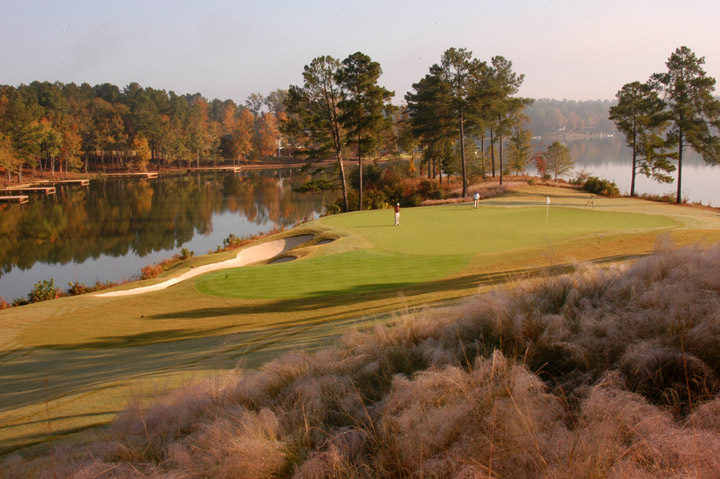 Caddie's Summary: The Reynolds Plantation is host to five golf courses, three of which are ranked in the top 15 of Georgia golf courses. 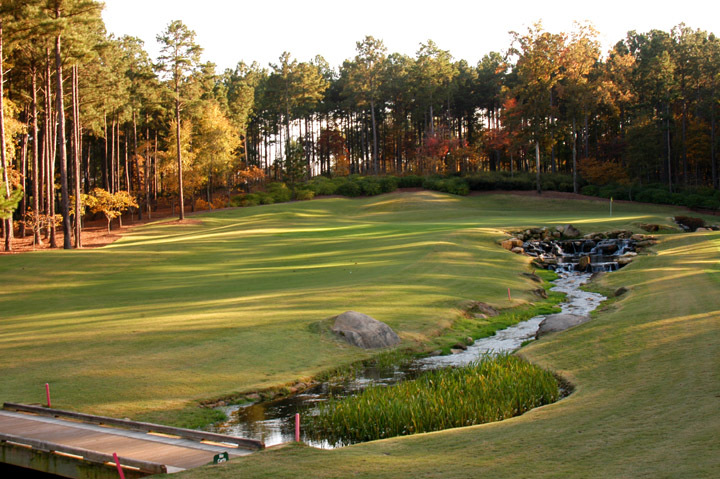 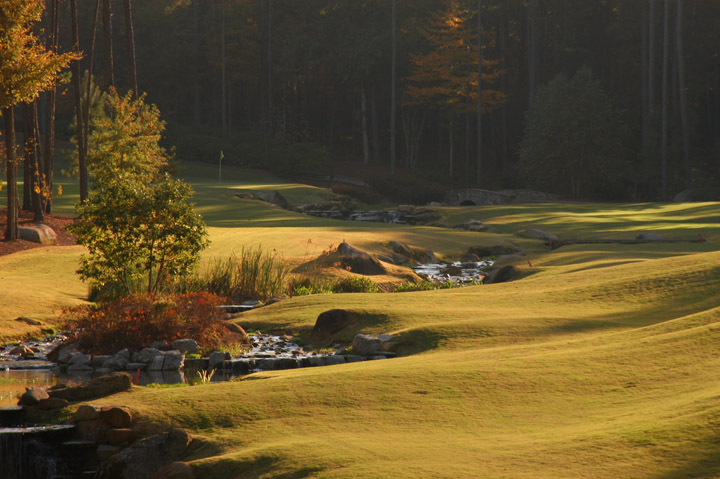 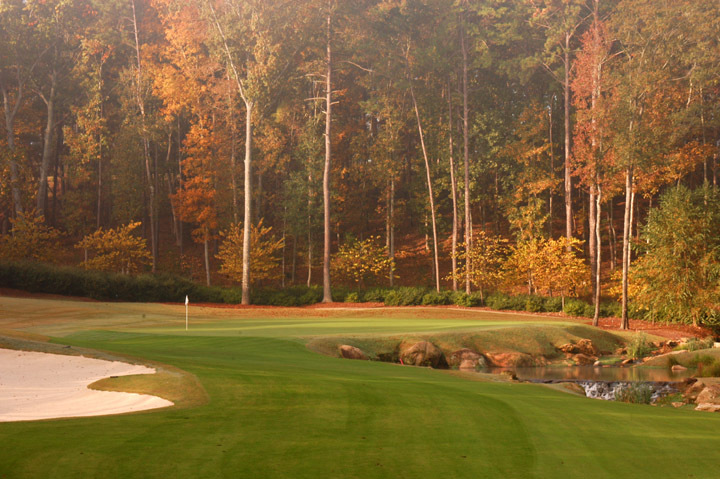 The Oconee golf course is imply dazzling. 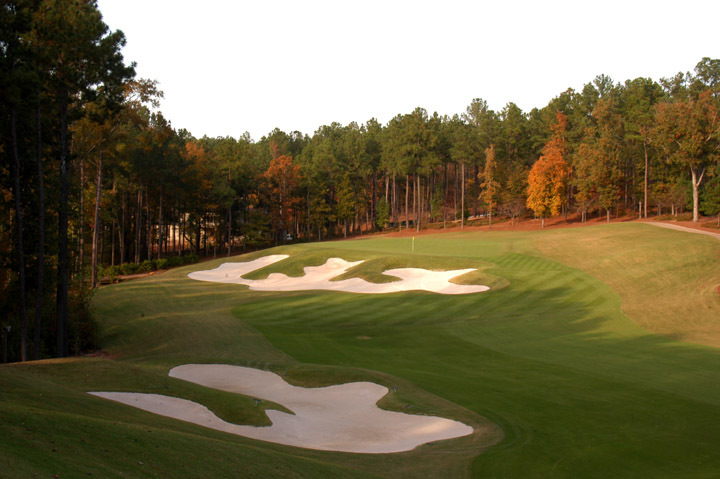 The hilly terrain has been landscaped and etched to perfection. 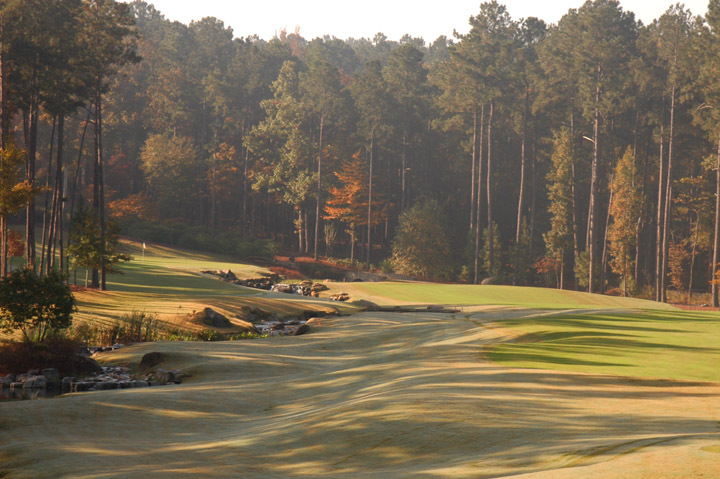 Natural bridges, tall pines and intermingled deciduous trees add a mature backdrop to Rees Jones's design. 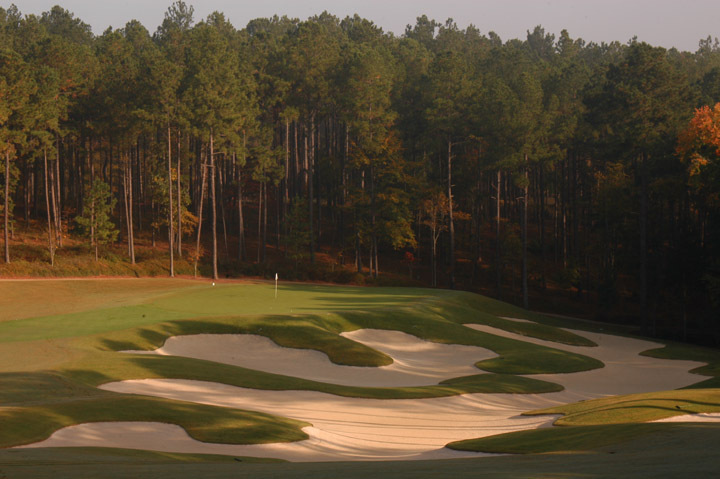 His bunkering is placed in all the wrong places for drives yet add a great deal of character and difficulty to this golf course. 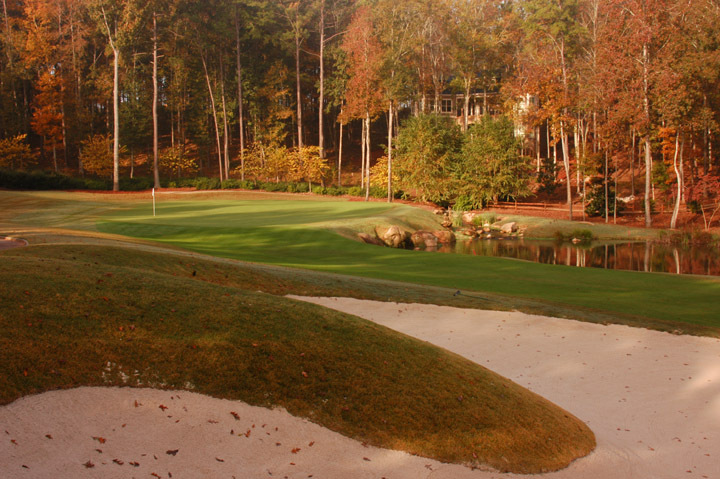 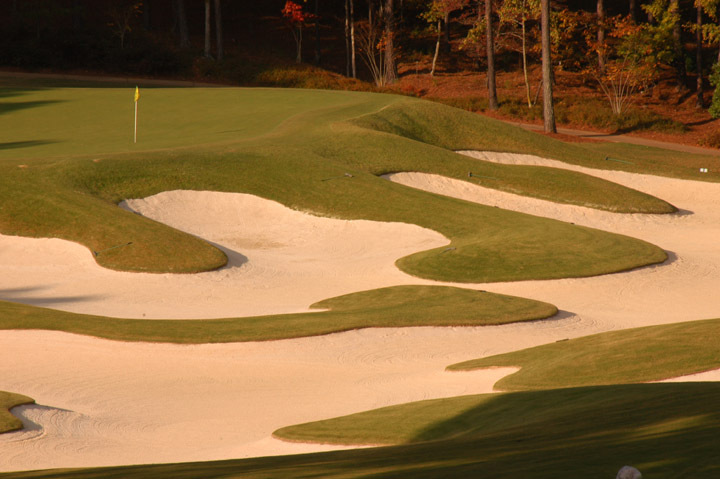 Greens are often elevated slightly and tightly wrapped by deep white sand bunkers or water hazards. 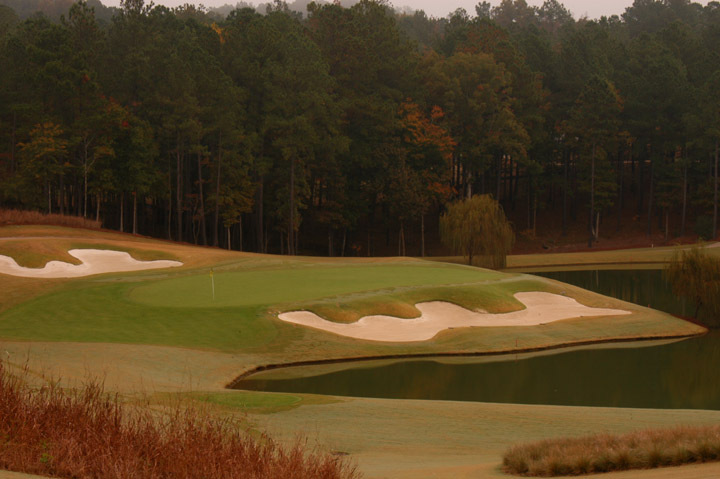 Greens are slick and undulating. 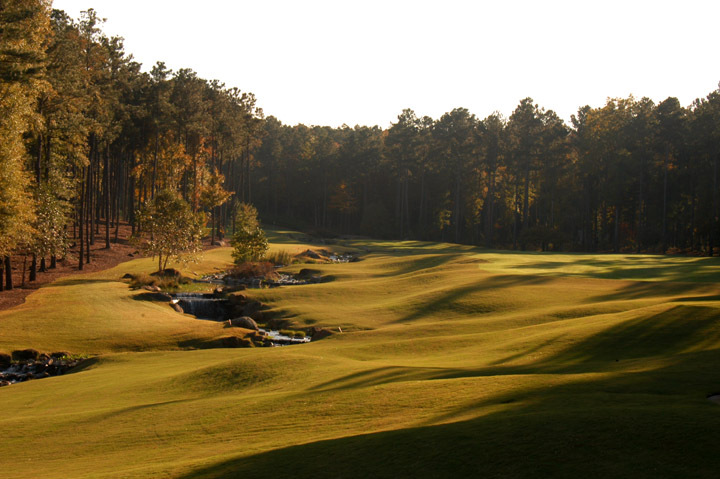 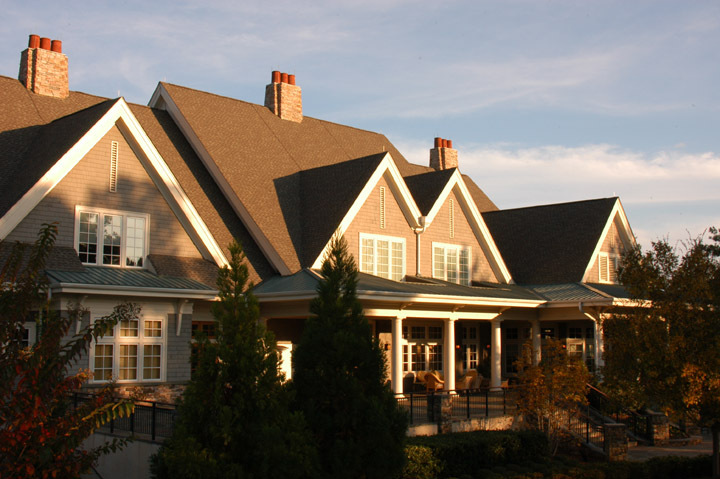 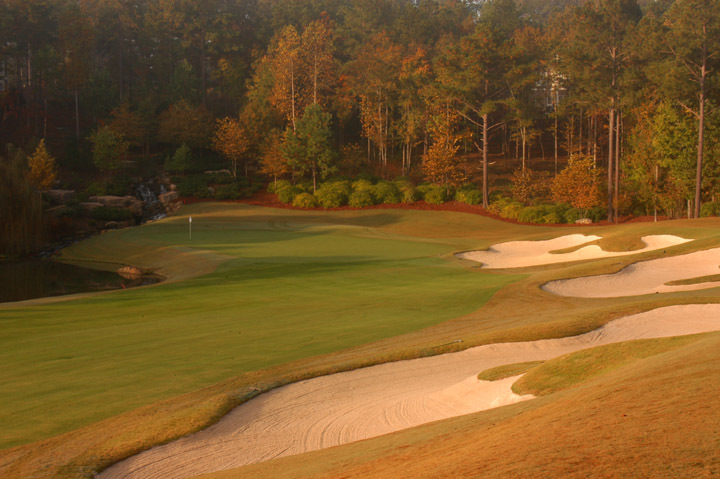 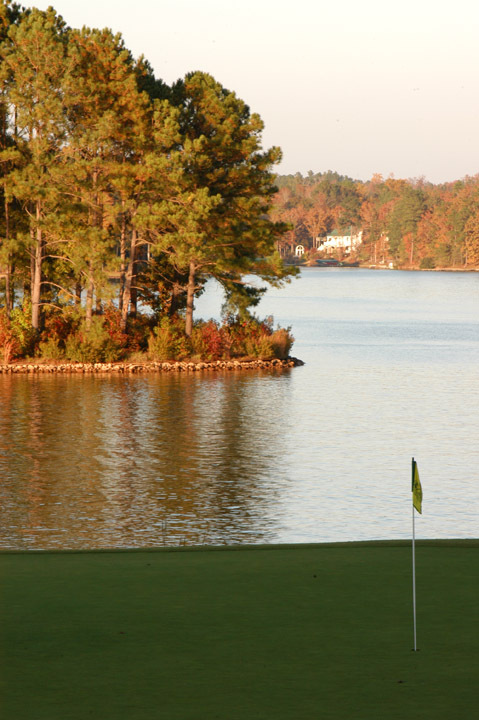 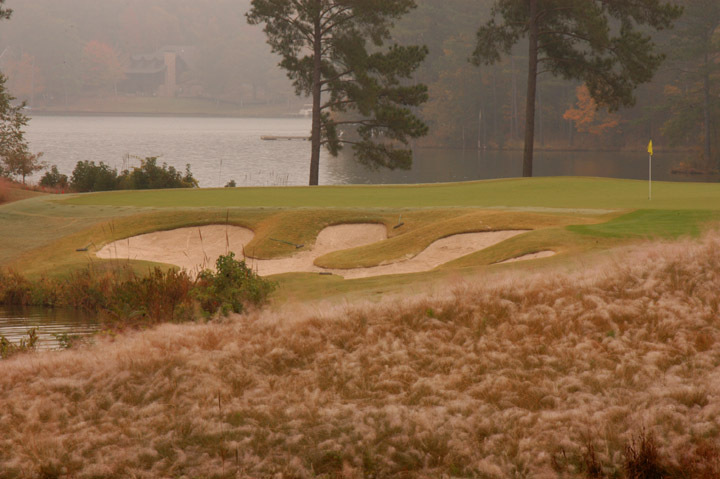 Over all, you'll fall in love with the play and looks of the Oconee and will undoubtedly want to return. 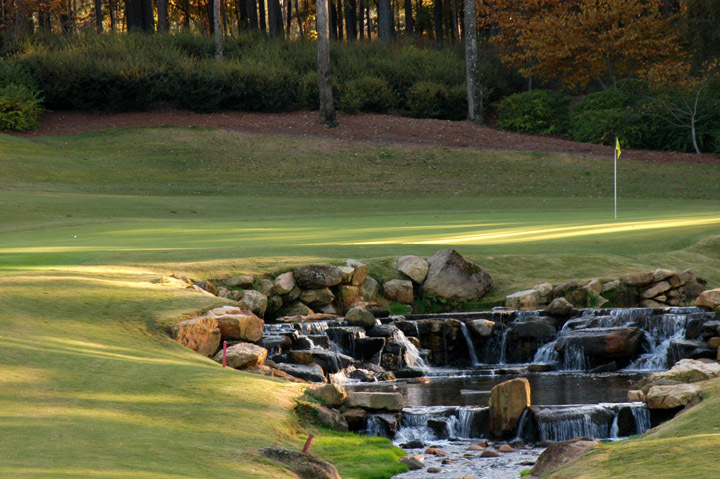 Playing the Oconee golf course is a must if in the area.